Diaspora is a community of people from the same homeland who have been scattered or have migrated to other lands. While most often associated with the Jewish people expelled from the Kingdom of Israel in the 6th century BCE, the diaspora of many ethnic groups is found around the world today. A diaspora is a group of people who have been forced from or chosen to leave their homeland to settle in other lands. People of a diaspora typically preserve and celebrate the culture and traditions of their homeland. Diaspora may be created by voluntary emigration or by force, as in the cases of wars, slavery, or natural disasters. The term diaspora comes from the Greek verb diaspeirō meaning “to scatter” or “to spread about.” As first used in Ancient Greece, diaspora referred to people of dominant countries who voluntarily emigrated from their homelands to colonize conquered countries. Today, scholars recognize two kinds of diaspora: forced and voluntary. 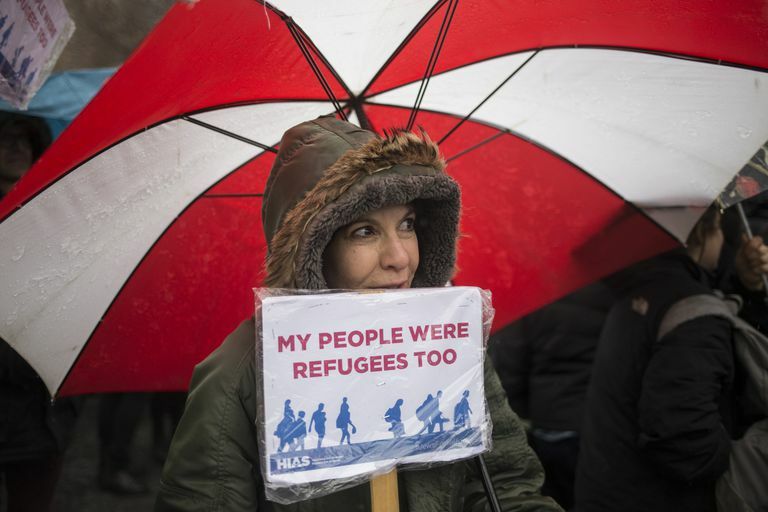 Forced diaspora often arises from traumatic events such as wars, imperialistic conquest, or slavery, or from natural disasters like famine or extended drought. As a result, the people of a forced diaspora typically share feelings of persecution, loss, and desire to return to their homeland. In contrast, a voluntary diaspora is a community of people who have left their homelands in search of economic opportunity, as in the massive emigration of people from depressed regions of Europe to the United States during the late 1800s. Unlike diaspora created by force, voluntary immigrant groups, while also maintaining close cultural and spiritual links to their countries of origin, are less likely to wish to return to them permanently. Instead, they take pride in their shared experience and feel a certain social and political “strength-in-numbers.” Today, the needs and demands of large diaspora often influence government policy ranging from foreign affairs and economic development to immigration. The origins of the Jewish diaspora date to 722 BCE, when the Assyrians under King Sargon II conquered and destroyed the Kingdom of Israel. Cast into exile, the Jewish inhabitants were scattered throughout the Middle East. In 597 BCE and again in 586 BCE, Babylonian King Nebuchadnezzar II deported large numbers of Jews from the Kingdom of Judah but allowed them to remain in a unified Jewish community in Babylon. Some of the Judean Jews chose to flee to Egypt’s Nile Delta. By 597 BCE, the Jewish diaspora was scattered among three distinct groups: one in Babylon and other less-settled parts of the Middle East, another in Judaea, and another group in Egypt. In 6 BCE, Judea came under Roman rule. While they allowed the Judeans to retain their Jewish king, the Roman governors maintained real control by restricting religious practices, regulating trade, and imposing ever-higher taxes on the people. In 70 CE, the Judeans launched a revolution which ended tragically in 73 BCE with the Roman siege of the Jewish fort of Masada. After destroying Jerusalem, the Romans annexed Judaea and drove the Jews from Palestine. Today, the Jewish diaspora is spread throughout the world. During the Atlantic Slave Trade of the 16th to 19th centuries, as many as 12 million people in Western and Central Africa were taken captive and shipped to the Americas as slaves. Made up mainly of young men and women in their childbearing years, the native African diaspora grew rapidly. These displaced people and their descendants greatly influenced the culture and politics of the American and other New World colonies. In reality, the massive African diaspora had begun centuries before the slave trade as millions of Sub-Saharan Africans migrated to parts of Europe and Asia in search of employment and economic opportunity. Today, descendants of the native African diaspora maintains and celebrates its shared culture and heritage in communities around the world. According to the U.S. Census Bureau, nearly 46.5 million people of the African diaspora lived in the United States in 2017. The modern Chinese Diaspora began in the mid-19th century. During the 1850s to the 1950s, large numbers of Chinese workers left China in search of jobs in Southeast Asia. From the 1950s through the 1980s, wars, starvation, and political corruption in mainland China shifted the destination of Chinese diaspora to more industrialized areas including North America, Europe, Japan, and Australia. Driven by the demand for cheap manual labor in these countries, most of these migrants were unskilled workers. Today, the growing Chinese diaspora has evolved into a more advanced “multi-class and multi-skilled” profile needed to satisfy the demands of the high-tech globalized economy. The current Chinese diaspora is estimated to consist of some 46 million ethnic Chinese living outside China, Hong Kong, Taiwan, and Macau. Vertovec, Steven. "The Political Importance of Diasporas." Migration Policy Institute. (June 1, 2005). .”Ancient Jewish History: The Diaspora“ Jewish Virtual Library. .”National African-American History Month: February 2017“ U.S. Census Bureau. .”Chinese Diaspora Across the World: A General Overview“ Academy for Cultural Diplomacy.